The gold Krugerrand coin, especially the 1 oz Krugerrand, have been one of the most popular items among Gold buyers ever since they were first minted in July 1967. 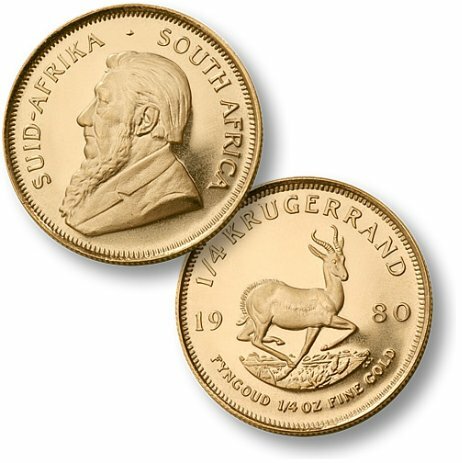 The gold Krugerrand was the world's first modern gold bullion coin. 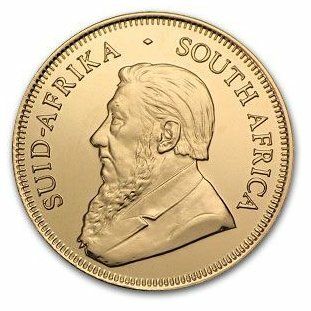 The coin itself was named after the four time President of South Africa Paul Kruger and his image remains on the obverse of these coins to this day. The Rand is the official currency of South Africa. On the reverse you’ll find the image of the South African springbok which is a type of antelope native to South Africa. The words "South Africa" and "fine gold" are displayed in both English and Afrikaans. The Krugerrand one ounce gold coin was the first to contain an actual troy ounce of gold and this trend was followed by the USA, Canada and Australia with their American Eagle, Maple Leaf and Nugget gold coins respectively. 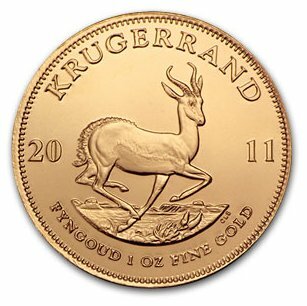 The Krugerrand's purity is .9170, or 91.7% gold, with the remainder being copper. Copper alloy gold coins are more resistant to wear than their 24 karat counterparts. The coin appears with a slight reddish tone gold rather than coins alloyed with silver which appear lighter, such as the American Gold Eagle. Each 1 oz coin weighs 33.93 grams consisting of 31.1 grams pure gold (1 troy oz.) and 2.83 grams copper. The gold coins come in four sizes since 1980, 1 oz., 1/2 oz., 1/4 oz., and 1/10th oz. The Krugerrand is available in both bullion and proof state. Krugerrand sizes - 1/2 oz. 1 oz. 1/4 oz. and 1/10th oz.